USA – As the largest private, non-profit university in the nation and largest Christian university in the world, Liberty University enrols more than 110,000 students across 550 unique programmes of study on its 7,000-acre Lynchburg, Virginia campus. 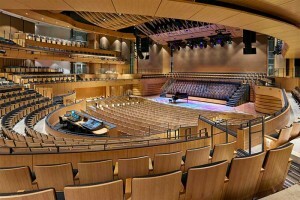 For its state-of-the-art School of Music facility, Liberty University has deployed a Dante audio-over-IP network from Audinate to transport audio throughout the building. 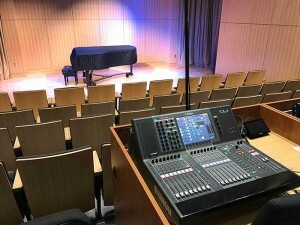 The School of Music transitioned to Dante from a legacy transport system that lacks Dante’s low latency and operational benefits. Since rolling out the network, Dante has delivered a significant return on investment across cost savings, operational flexibility, and educational value. Gerringer is part of Liberty University’s infrastructure media operations team responsible for designing, deploying and managing the IT technology that is used throughout this large, high-profile institution. Dante was a big attraction for Gerringer due to its seamless operation over existing IT infrastructure. A virtual private local area network (VLAN) has been established for Dante audio networking throughout the School of Music, keeping it logically separate from the main enterprise LAN. Approximately 15 Dante-enabled products currently reside on the 1Gb network, including a DiGiCo SD5 mixing desk in the auditorium, Yamaha CL1 mixers in classrooms, an Aviom D800-Dante A-Net distributor in each classroom and the concert hall. DiGiCo Orange Box I/O interface units convert MADI signals to Dante, and an RTS ADAM modular matrix intercom, equipped with OMNEO interface cards, supports intercom communications between different areas of the facility. One application of educational value that especially excites Gerringer is the ability to use virtual soundchecks as a teaching tool. 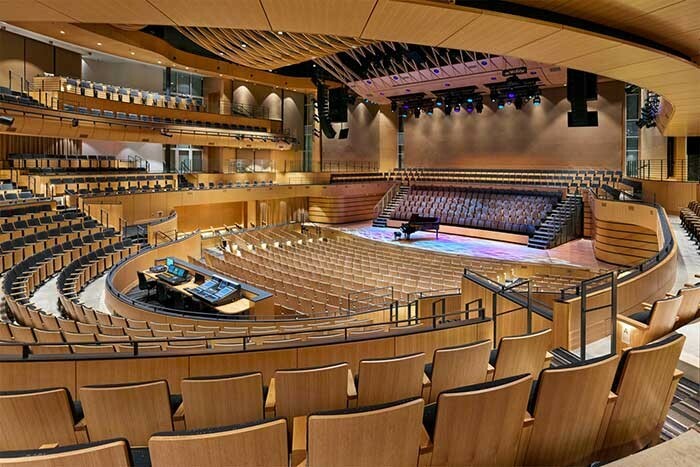 With virtual soundchecks, School of Music students can access isolated digital recordings of every aspect of a live musical or theatrical performance that took place in the auditorium. They can then practice mixing and finessing these audio inputs into a finished mix using the Dante-enabled Yamaha CL1 mixer in their classrooms. Moving forward, the IT team plans to use Audinate’s new Dante Domain Manager to establish different network domains. This will allow different facility groups to discretely use Dante for their own operations, including the institutional, production, broadcast and academic departments.